celebrating a century with julia child ... bon appetit to bon scrapatit ... a gift! 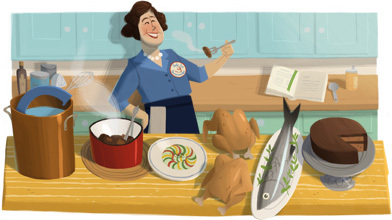 Google Doodle Celebrates Julia Child's 100th Birthday! The woman I dub Queen of culinary skills, who first studied French cooking at the Le Cordon Bleu Cooking School in France after moving there with her husband, and who wished us an enjoyable meal by way of her delightful rendition of "Bon Appetit" at the end of her television segments, would have been a century old Wednesday, August 15th. Nonetheless, Julia Child is ever present among us in spirit and through her incredible legacy. Surely Ms. Julia shall go down in history as one of the, if not the most, important persons to have had such a profound effect in American kitchens by taking our culinary skills to a new level, and teaching us to laugh at ourselves when we make a mistake. "Remember, there is no one in the kitchen but you", Mrs. Child would say! I dare say, we've not looked back and are still moving forward in our kitchen expertise while producing a fine group of Master Chefs who continue to come forth in mighty numbers, both male and female! How has Julia Child influenced your life, either directly or indirectly? Why am I posting about the 100 year celebration of the author of Mastering the Art of French Cooking? It would be unfair and unkind of me not to mention that I came from the home of two incredibly talented cooks. My father, known to his patrons as The Singing Chef while owner/head chef/bartender (does this remind you of the phrase, chief cook and bottle washer?) at his own restaurant, prior to my birth in the early 1950s, was a gourmet cook. Oh, how I remember the rich and filling meals of Lobster Thermidor (a French dish) and my favorite desert, Baked Alaska! My stepmother, born and raised in the South, magically spread our table with Southern fried chicken, fresh vegetables from a garden growing in our backyard, and cornbread made in a cast iron skillet to name a very few. Naturally, I learned to cook at a young age and was summoned to help in the kitchen on a regular basis by the time I was a teenager. Skillful meal preparation is a family heritage, which has now continued into the third generation that I am aware of. All six of my children (2 girls, 4 boys) can and do make magic happen in the kitchen! Secondly, my design name, Bon Scrapatit Designs, came about from my nightly food prep and delivery to our two outdoor family members, Chloe (after the French perfume) and Max (meaning, the greatest). My evening ritual included some petting and a kiss on the bridge of each of their noses, followed by an exuberant outburst of, Bon Appetit, inspired by none other than Julia herself (I can hear her voice each time I say it)! The light bulb came on (it actually does light up on occasion!) and this particular evening, I found the ingredients for my passionate desire to cook up some delicious digital scrapbooking goodness and gave myself the name, Bon Scapatit Designs! Loosely translated, Bon Scrapatit would mean, enjoy your scrapping or happy scrapping! Do y'all remember the beginning of Bon Scrapatit Designs in June of 2007? My original blog banner minus a wee bit of verbiage! of 2000 into the beginning of 2001. Do you remember when avatars were a hot trend? Oh my. I employed the services of a well-known designer some five years ago and was so thrilled at what (or who) she had created! Naturally, I was taking on the image of an, obviously, confused Italian Signora secretly desiring to be French with a zest for life and a true passion to share my creations with scrapbookers across the globe. You could say that my mantra was along the line of, leaving no scrapper behind! It has truly been my heart's desire that any one who wishes to be able to preserve their family's most precious and priceless memories should, indeed, be able to do so. I really had no idea how well received this ... Signora would be! She was fresh, vibrant and filled with recipes for preserving memories. It was difficult to give up this charming persona during a blog redo a few years back, however, she is still very much alive within my soul! Where is Bon Scrapatit Designs today? 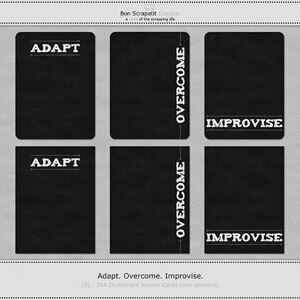 While the menu here at Bon Scrapatit Designs has seemingly all but disappeared, my somewhat dormant designing skills have made an appearance bi-monthly for the blog train I, along with nearly 100 other designers, participate in. Each time I would post my contribution to the blog train, I would wholeheartedly expect to return full-time, but to no avail! Having been given designer wings and set into flight sooner than I had anticipated back in June 2007, I feel as though I've spent more time trying to catch up over the years than having the ability to work ahead. 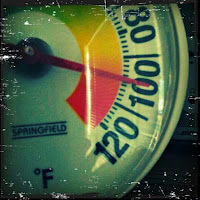 I am hoping to change that! Adapt. Overcome. Improvise. Three powerful words written on a chalkboard by Robert's #2 son, Joshua (an ex-Marine with three deployments to the Middle East) and the topic of many a conversation with my father-in-law, who is retired from the Navy! Thank you Josh and Poppa! 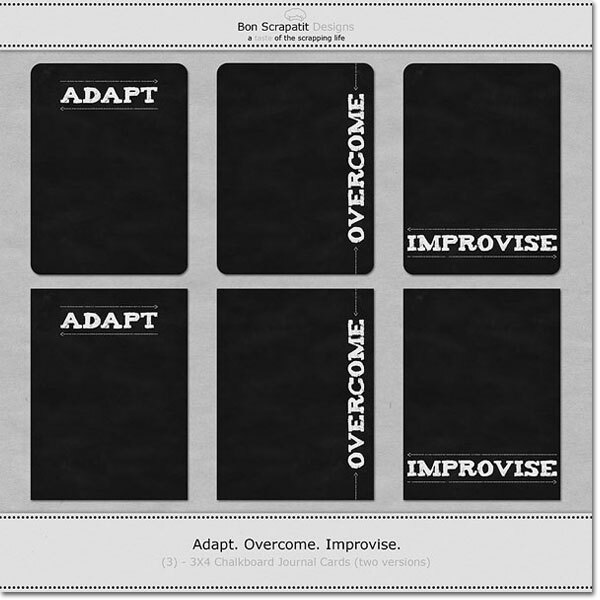 What does the future hold for Bon Scrapatit Designs? Another transformation is in the making! It is quite fascinating to watch the marketplace (thank you Pinterest!) and to see before my eyes the many changes, from the geometric shapes in design to new forms of typography and graphic art. When one is as far removed as I have been for so long, it can be a little overwhelming, if not down right intimidating ... for a brief time. Key word, brief! I have adapted. I am overcoming. I shall improvise! 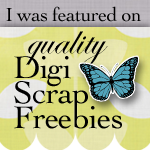 I would not be who, nor where I am in the digital scrapbooking industry if not for each and every one you! My early days here at Bon Scrapatit Designs were driven by my fellow digiscrappers from around the world - y'all! Unfortunately, life this side of the screen had temporarily robbed me of much of that drive, but all things for a purpose. I love a good challenge and I have come to know myself as both a fighter and a survivor with an incredibly determined spirit. I am sure a good many of you can speak the same of yourselves, as we all have a story or two to tell. What better way to tell them than on the pages of our scrapbooks! I am also working on a new website! I will post in the future to let you know what you will need to do to keep following along when I leave Blogger and move over to Wordpress. This blog will remain intact here on Blogger, however, I shall not be moving all of it's content. I am going to start fresh, with the exception of a very few items, such as tutorials! How timely for Julia Child's 100th birthday to be celebrated this week! It was just what I needed to jump back in here and let y'all know where I've been and where I am headed. I miss designing. I miss scrapping. I miss chatting with you! 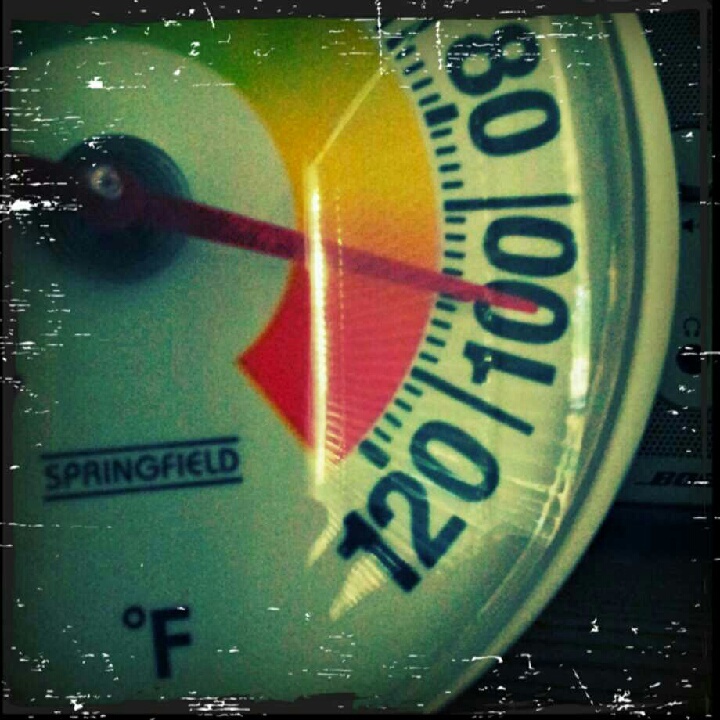 Summer time slows things down quite a bit here in Scrapland and I am hoping to accomplish enough to be a little more present come the holidays so as to share some goodies with you! Hmm. You know my having been away this long, I cannot leave you without a little something, right? Uh, huh. You would be 100% correct! I thought I'd pack up the chalkboard journals shown above for y'all to use on your scrapbook pages. Or, you can print them out to use in a mini-album, for note cards or adhere a magnetic strip on the backside and put them on the refrigerator with a list of things that you might be learning to adapt to, etc.